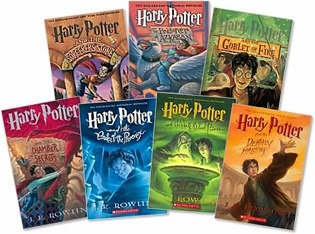 I finally got tired of listening to my friend Susann yell at me about not reading the Harry Potter books …I must admit I’m hooked and reading the books and watching the movies has taken over all of my free time! Nooooooooo…not Harry Potter! I can't do it, I don't get fantasy. And Harry is a dork!